Pupils at the Bedlington Community High School breakfast club. Perky pupils are getting the best start to the day with the launch of a new breakfast club. 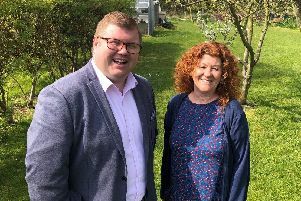 The initiative has been set up by Bedlington Community High School’s learning mentors after hearing of the benefits of such schemes for attendance, attainment and tackling hunger among students in the mornings. The club enables youngsters to help themselves to a free breakfast of cereal, toast, fruit, juices and tea. And there is also the opportunity for them to play games and socialise while they eat. Since April 18 236 breakfasts have been served to 59 pupils. The club runs every day, from 8.15am to 8.50am, in the school library and all students are welcome.